Farmpro was established in 2002 by Pieter Visagie with premises in Jetpark, Johannesburg. At the time the company specialised in staging and distribution of fresh produce, creating the link between farms and distribution centres. In 2012 Farmpro joined forces with Tacoma Foods, forming Tacoma Logistics and expanded its services to include the distribution of chilled, ambient foods and delicatessen products. 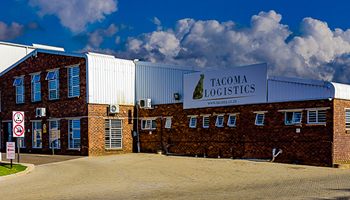 In 2015 the company had grown such that larger and more specialised premises were required, resulting in the move to our current premises in Pomona, Kempton Park JHB giving greatly improved warehousing and cold room space. The company continues to grow with the valued support of clientele plus the hard work and dedication of management and staff. It has over 13 years of experience in staging and cold chain distribution to all major DCs in Gauteng and Western Cape including Woolworths, PicknPay, Shoprite and SPAR, as well as most other required destinations in Gauteng, Limpopo, Mpumalanga and the North West. Conveniently located next to OR Tambo International Airport (Johannesburg), we offer consolidation services with 24h service, 365 days a year, and fast turnaround times for vehicles. We are FSA and IBL accredited, ensuring that the cold chain is not compromised. Vehicles are fitted with 24h satellite tracking. We are big enough to offer a professional and efficient service, yet small and agile enough to tailor our services to our customers’ unique requirements. We are the fast and friendly problem solvers – the logical choice.